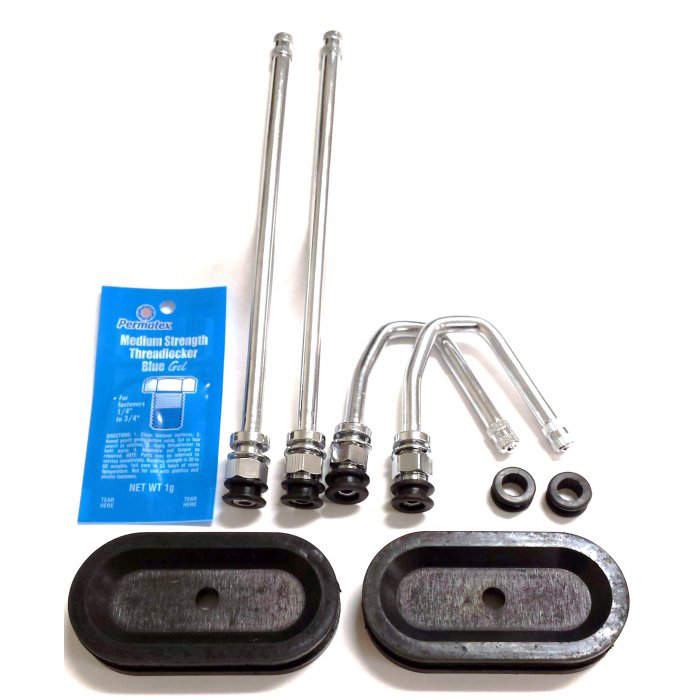 Part # DL1SP Dually Valve Kit Sprinter 2007-Present 16” Steel/Steel Round & Oval Alternating Holes 3”x1.25” Class C, Accu-Pressure Safety Products, Inc. Replacement 1-piece metal bolt-in valve stems for Class B and C Sprinter motorhomes. Traditionally, adding air to dually tires was difficult which required the use of specially designed air chucks and specially designed air gauges just to get to the valve stem. Not anymore! Duallyvalves are designed to make tire pressure checks and inflation easy on motor homes. The length of the inner dual valve has been extended to reach the outer dual and the outer stem is curved making it easy to add air. Vehicle Outer Dual Wheel Wheel Hand-Hole Size: 3" x 1.25"